The area surrounding Route 367 in St. Louis’ north county had experienced significant growth in population, leading to congestion on the divided highway. 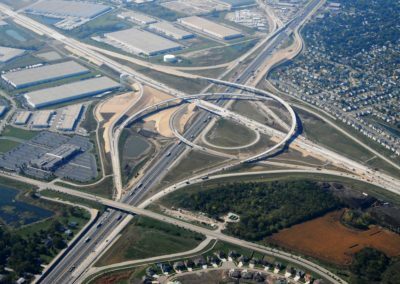 Community leaders called for improvements and the Missouri Department of Transportation (MoDOT) responded with a design that eliminated at-grade intersections and transformed the roadway into an elevated, uninterrupted freeway. 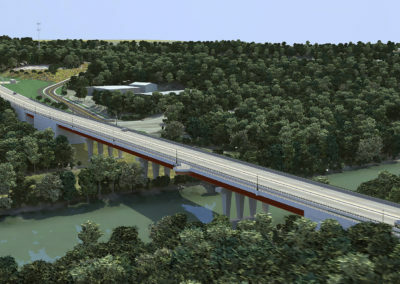 To oversee construction of this high-profile project, MoDOT hired Crawford, Murphy & Tilly (CMT) to oversee the initial phase – the first time the agency had deployed a consultant-led construction inspection team. The $44.7 million project involved 2.5 miles of highway and included four bridges and two miles of retaining walls to elevate the roadway. 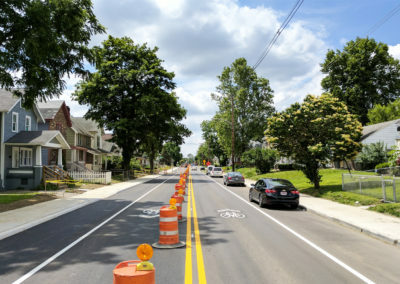 Under CMT’s direction, contractors were able to finish the first phase of construction 250 days ahead of schedule, and, thanks to some Value Engineering solutions, at a cost below the bid price. Based on that successful performance, CMT was selected to lead the second phase of the project, which also came in ahead of schedule and under budget.